At Baikohken you head office in Asahikawa you can taste the authentic taste that is loved abroad! Baikohken has branches not only in Japan but also overseas. 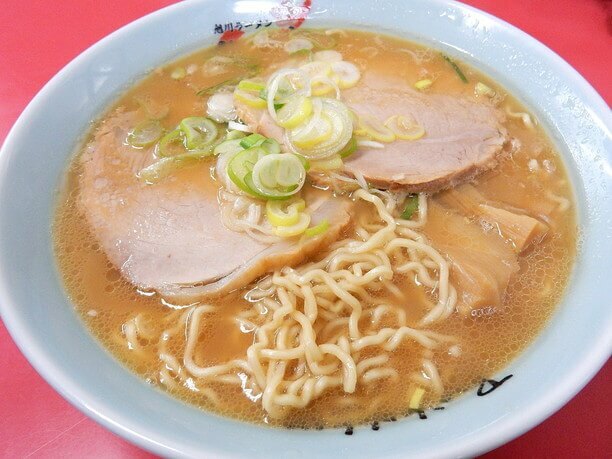 It is widely known as a leading pioneer in spreading to many people the famous Asahikawa Ramen’s taste. Their W soup combines animal-based and fish-based soups and is characterized by a deep taste and a refined sense of transparency. 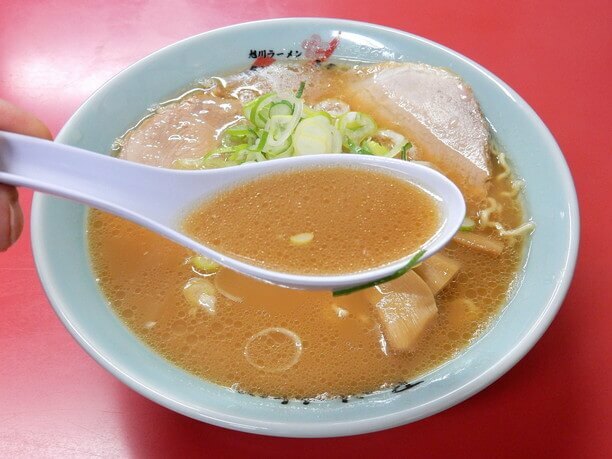 It was acknowledged to that effect, when it received the Asahikawa Ramen Grand Prize. 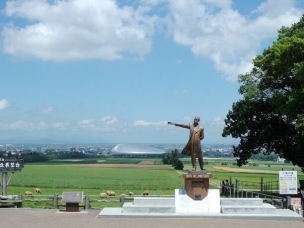 The head office located on Shopping Park street is accessible from JR Asahikawa Train Station. Always crowded with customers, it is often that a long queue can form during the busy season. 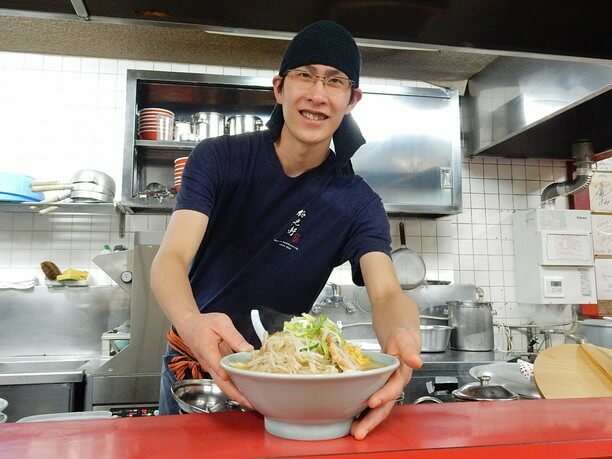 “Bring a light taste to a base food of the common people” is tradition inherit in the thoughts of the first generation of the Baikohken Ramen producers. 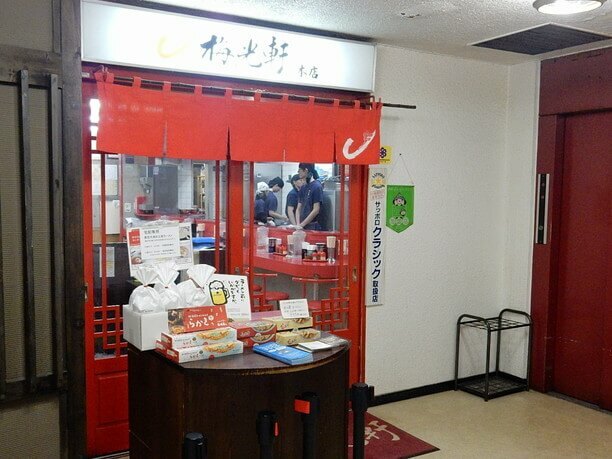 When you open the bright red door and enter a bright store with a red tone, you will be welcomed by a cheerful voice saying “Welcome,” and the smell of appetizing ramen. 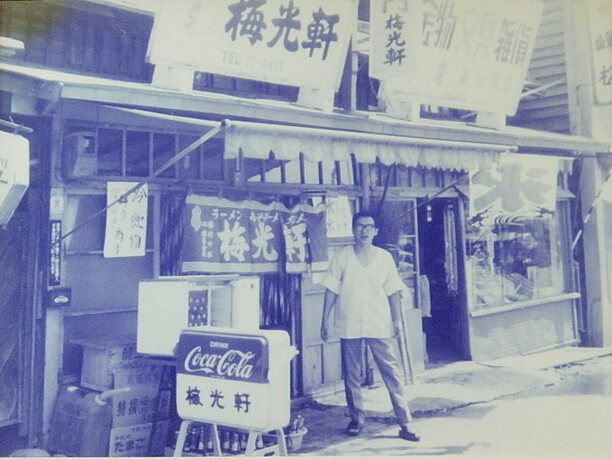 Baikohken, which has become known locally as the best ramen specialty shop, opened in 1969. 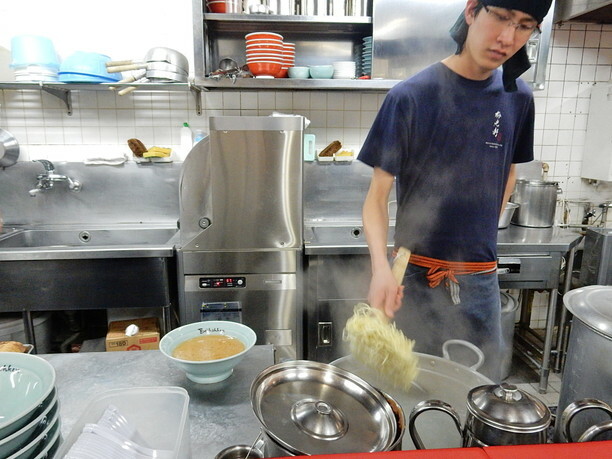 The owner’s theory was that ramen, which is a popular food, is “base food And if he just creates the best version of it that he can, he will attract many customers that will be satisfied. The taste that he made was simply the best he could without compromise. He produced soup, and noodles, all made with the best ingredients. 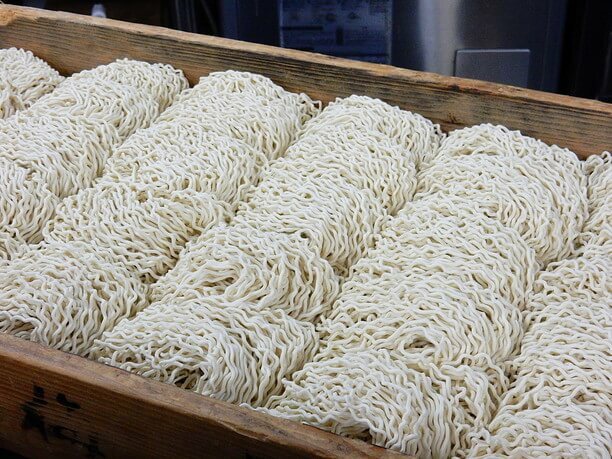 It paid off, as his ramen was selected as the 1st place winner at the Asahikawa Ramen Awards held in 1993. “We would like to deliver a taste that makes you smile since“everything was delicious,” said Youto Yamada（山田悠斗）, deputy manager of the head office. Even now as the scale of operations has expanded, the passion of the first generation continues to be inherited. Enjoy the elegant rich taste of the W soup! Their W soup combines pork, chicken and seafood soup boiled into a taste that is deep with a mellow aftertaste. 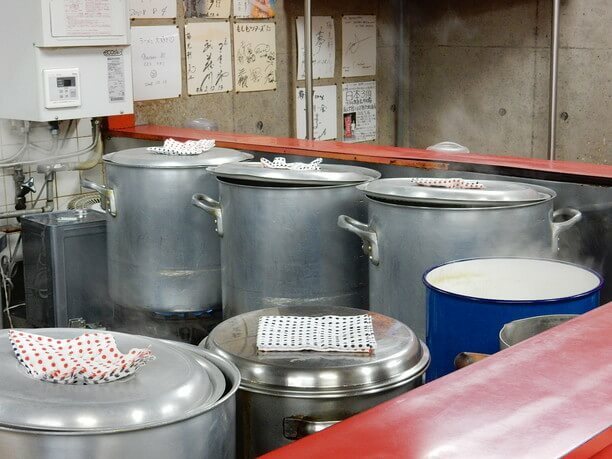 It takes about 10 hours to complete the soup and the kitchen is always filled with it. Although at first appearing cloudy, the soup delivers an elegant taste of the fish cake soup that spreads throughout your mouth as you taste it. Homemade medium-sized chicken noodles are tightly entwined within the soup. Along with their basic soy sauce flavor, also try the miso flavor if you go for the second time! 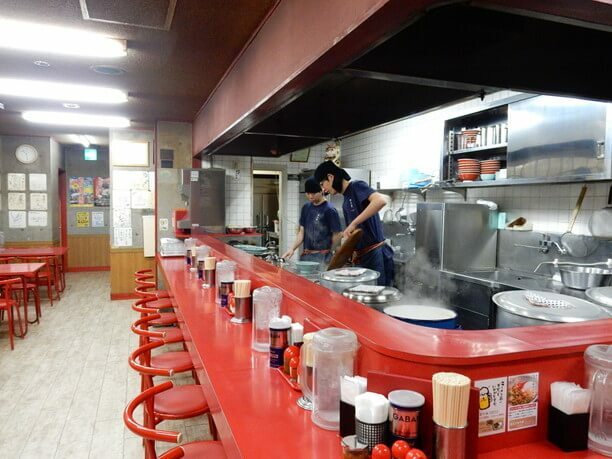 The most popular is still their soy sauce noodles (730 yen). They use a handmade soy sauce based broth that adds a moderately sour taste and refreshing aftertaste to the taste of W soup. Of course, all the ingredients they add are handmade, including pork with extremely thick and chewy bamboo. Everything is simple and the taste of the ingredients can be felt. The compatibility with soup is also preeminent! 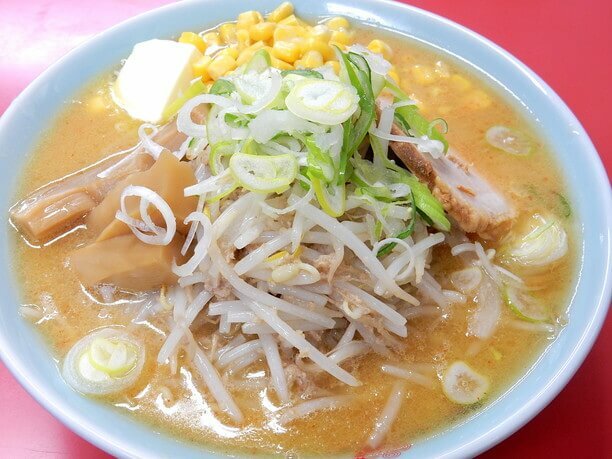 You will love the delicious taste of the miso butter noodles (shown in the picture)for 880 yen. This homemade miso, has a bit of garlic added, that causes a scent of garlic to rise from the soup. A little chile spice is also added that accentuates the taste. It is fun to visit many times and try different flavors. People want to eat at Baikohken even if they have to wait! The head office is located along Shopping Park street, which is the main street of Asahikawa. It is about 5 minutes on foot from the station. There is a steady flow of customers entering the shop once it opens. 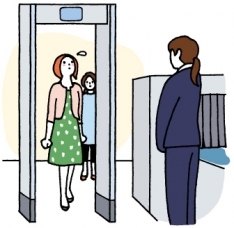 It is also possible that you may have a long wait for your turn to get in during the busy times of the day. I have heard that many people who have eaten at one of their branch shops in Hong Kong or Taiwan will take the trouble to come to see if you what they had was the authentic taste. “I’m happy to hear of such a thing,” said Yamada, the deputy manager. Baikohken Ramen delivers a delicious taste to the hearts of the people who eat it. It has a delicious aftertaste that can become addictive, once you taste, you will want to come back to eat it again and again! 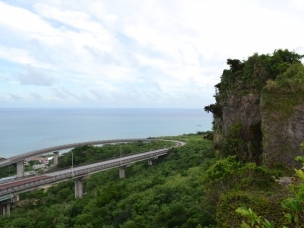 It is located along the Shopping Park Street and has good access. There are many things you can do while in the queue, such as visiting the shops in the basement of the building. 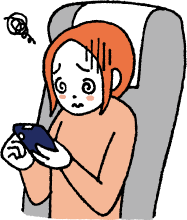 So you do not mind the waiting time even if the weather is bad. There also offer a frozen ramen that is dedicated to shipping the wholesome taste of the shops amazing ingredients. Anywhere in the world. Because it can easily reproduce the authentic taste, it is perfect for a souvenir for those who love noodles. 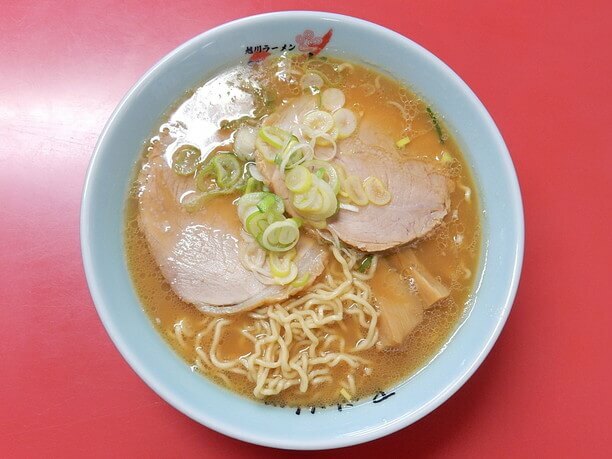 For students, they offer a choice of soy sauce or salt flavor ramen with only one slice of pork for a very affordable 550 yen. For those who are worried about the soup's splashing, there are plenty of paper napkins! As a representative Asahikawa ramen, the taste is amazing! Besides, it is a shop where they have impressive customer service. It is a place that once inside the store, you will get a cheerful reception and detailed consideration. Enjoy great sweets for under 100 yen at the Rokkatei Sapporo head office!